Detroit4Detroit, the first-of-its-kind microphilanthropy initiative in an American city, has met its goal of recruiting 150 citizen philanthropists to fund community-improvement projects using a strategy that’s heavy on social networking and other digital tools. 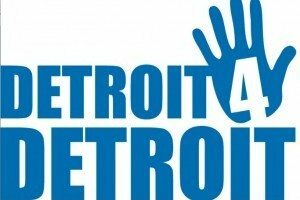 The goal of Detroit4Detroit—which is managed by Michigan Corps and Citizen Effect with a financial assist from the Knight Foundation—is to turn everyday Detroiters into fundraising machines. Elizabeth Garlow, MichiganCorps’ executive director, says reaching the goal of 150 citizen philanthropists is merely the beginning. “The journey is just getting started,” she says. “We’ll be supporting by helping people connect with one another both online and offline.” The first event for citizen philanthropists and their networks, called Event Planning 101, will be held July 26 at UDetroit Cafe. Citizen Effect organizers work with 12 local partners in the nonprofit community to curate a list of viable projects, with each submitting five to ten for consideration. Once a project has been vetted, it’s posted to the Detroit4Detroit website for a citizen philanthropist, or CP, to adopt. Then, after a project has been claimed, Citizen Effect gives the CPs a digital toolkit. That enables them to promote the project on sites like Facebook and Twitter, reach out to potential supporters through fundraising emails, and have an online platform to post blogs, videos, and photos. Garlow has noticed that CPs are often turning to each other for help instead of to fundraising experts, which she says is a testament to the network’s strength. And there are a few projects that have already been fully funded. Clarence Wardell, a Detroit ex-pat now living in Washington, D.C., was the first CP to fully fund a project. He chose something close to his heart: He’s sending a student from the Detroit Area Pre-College Engineering Program (DAPCEP) on a two-week summer residency at the University of Michigan, where the student will learn about nanotechnology, renewable energy, robotics, computer programming, chemical engineering, and more. Dan Morrison, CEO and founder of Citizen Effect, says Wardell took a social media approach to raising $2,081 from 57 donors, and jumped on it because he’s a veteran of DAPCEP himself, and attributes his current success in computer science as a direct result of his participation in DAPCEP. What’s interesting, Morrison notes, is the geographic breakdown of the 150 CPs. Out those, 100 live in the city of Detroit, 27 live in Detroit’s suburbs, and the rest are Detroit ex-pats—which mirrors the goal of activating Detroit residents to raise money for philanthropic projects in their own city. Morrison also notes that the CPs skew female and are between the ages of 28 and 39, with a “great” racial mix.